We work collaboratively and comprehensively with school leaders, staff, and the community to foster a robust learning environment that is focused on raising achievement for ALL students. It is our goal to engage, inspire, and challenge secondary administrators to create culturally dynamic schools that grow into institutions of academic excellence in support of the district's mission for all students to graduate ready and prepared for college or career. Secondary Education guides and supports high levels of learning by facilitating curriculum development, creating ongoing professional learning opportunities for teachers and administrators, and collaborating with campus leaders to align and enhance instructional practices. As early as ninth grade, students are able to embark on specialized pathways that enable them to fulfill high school graduation requirements and earn college credits leading to industry certifications and university transfer programs. Working with Midland College and industry partners, we are able to provide students with valuable opportunities to gain technological and academic skills and transferable college credit to enhance their pursuance of a wide range of rewarding opportunities after graduation. To help our students prepare for college, Midland ISD is teaming up with Midland College to provide a series of FAFSA Help Sessions, as students and parents navigate their way through the application process. 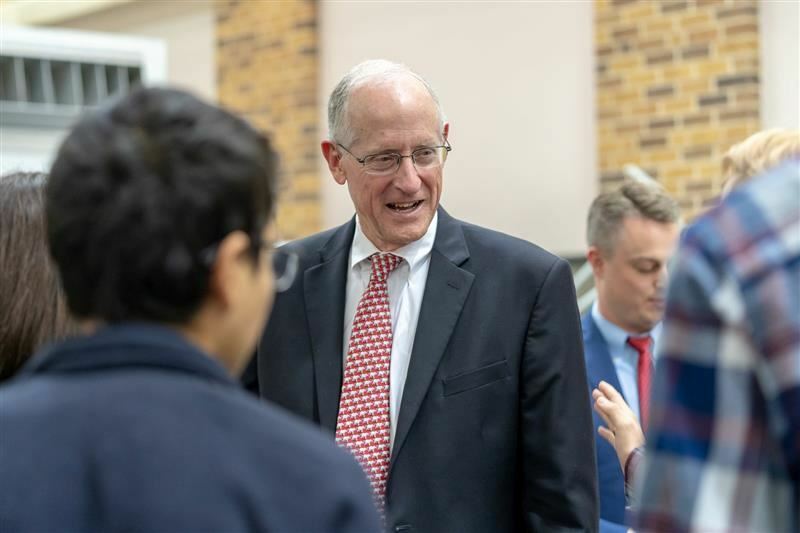 Students from across Midland ISD had the chance to visit with Congressman Mike Conaway, and some even asked some tough questions. Community resources to prepare all students for college or career.